The Wellness Champions.org are a group of doctors and health practitioners worldwide that are committed to teaching wellness in the workplace. Dr. Ben Martin was invited to become a part of this elite group – after some extensive training, he is now serving Cork City and County! The Wellness Champions are excited to give you the opportunity to help educate the people and places you care about with talks about their health, offering many different options to get you and others more involved with their wellness. Our complimentary Health Talks or ‘Lunch and Learns’ are a great way for management to show their employees that they care. These complimentary health talks will stimulate, educate and create a healthier company and healthy workforce, which in turn will provide more productivity. 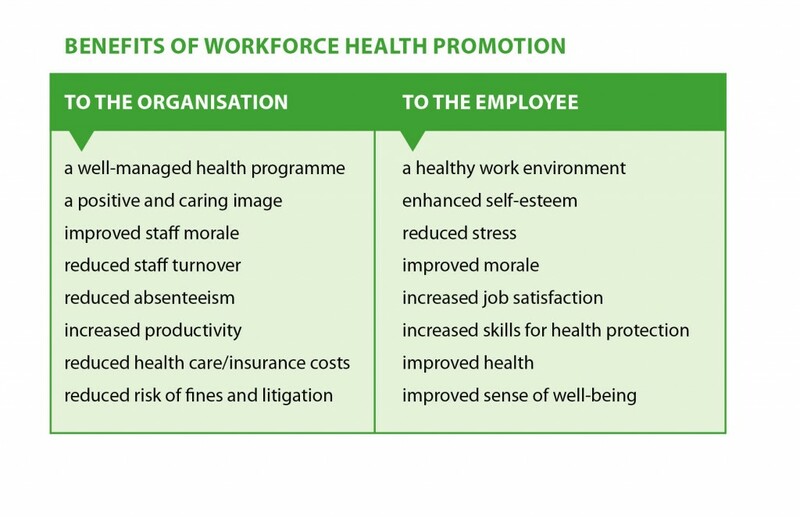 Workplace wellbeing is becoming a core focus for organisations due to the positive links that have been found between the health and wellbeing of employees and productivity and performance. Given the considerable amount of time people spend in the workplace, it’s the ideal place to encourage healthier lifestyles amongst adults.